Sometimes reading the Bible can just be stinkin’ hard. But it doesn’t have to be. And reading God’s word is worth every effort. Ummm. No. Drop the mic. 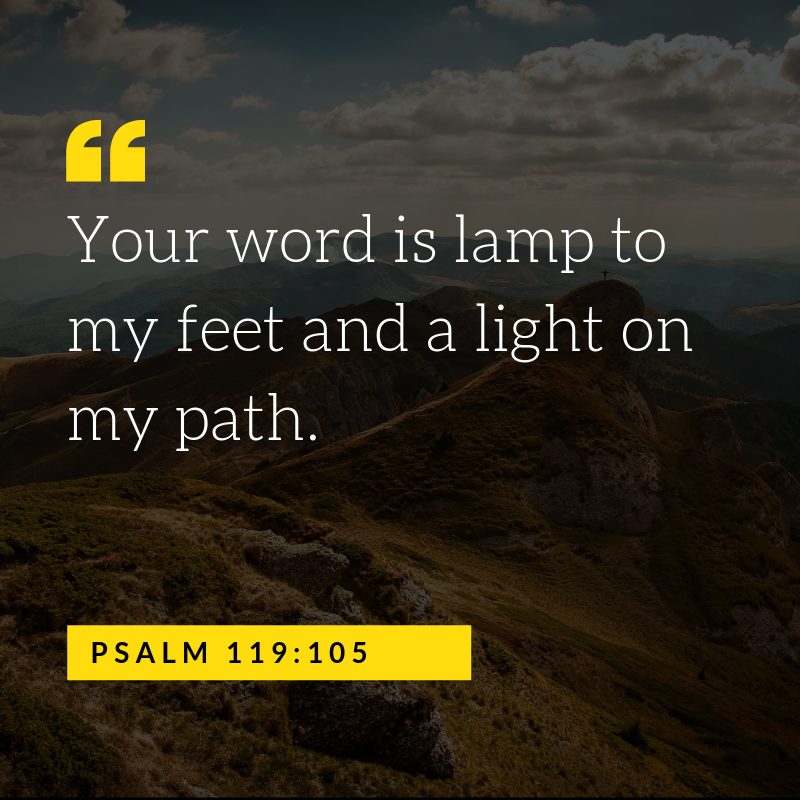 So in the hopes of giving you some practical tools to help you take care of your soul, I’m including my own personal tips–the stuff I really do–when I pick up my Bible each day. The first three tips contain suggestions about what to do before you open your Bible; the last three, offer tips about how to gain insight while you read the Bible. I hope these ideas help you as much as they help me! If you are anything like me, if you don’t have a Bible reading plan, you’ll waste precious minutes thumbing through the Bible, never quite landing. Instead, pick one book of the Bible and read a little each day, one chapter, perhaps. The biggest misconception about reading the Bible is the notion that you need to start at the beginning and work your way through. Trust me, this has stopped thousands of would-be Bible readers in their tracks. Because the Bible is really 66 separate books rolled into one, you can start anywhere. If you are new to the Bible, start with the book of John, which is the story of Jesus, and was written to help us believe. Then move on to the other gospels – Matthew, Mark or Luke. For practical “how to’s” about living the Christian life, try Philippians, Ephesians, and Colossians. Want doctrine? Read Romans. Need comfort or encouragement? You’ll love Psalms. Here’s a second misconception about reading the Bible: more is better, therefore, I don’t have time to read the Bible. Getting God’s Word into your life doesn’t have to take long. Start small—five or ten minutes. Sometimes less is more, especially when reading less means you’ll actually remember more. Here’s an easy way to remember points one and two: One book, one chapter, one day at a time. 3. Pray this before you begin…. When I pray this prayer, I open my heart to allow God’s Word to be personal to me; to my life, my circumstances, my relationships, my questions, my concerns, my heartaches, my needs. This prayer will make God’s Word personal for you, too. One of the most common struggles I hear about reading the Bible is “it doesn’t relate to my life”. If you struggle to understand how the Bible relates to your life, ask “what if this was me?” as you read. For example, when you read the gospels ask: What if this was me talking to Jesus? Listening to Jesus? Standing in the crowd? When you read Old Testament history ask: What if this was me fleeing from slavery? Fighting the battle? Stranded in the wilderness? Of course, the Bible was written to an original audience, and its contents must be taken in context (which is why reading through one book at a time gives context. Remember point #1?) False doctrine and false concepts about God–not to mention some down-right wacky notions–are birthed by taking scripture out of context. Still, the Bible was written by real people for real people. Like us. When you personalize the Bible, the Bible becomes personal. 5. Read until a verse resonates with you, then stop. The Bible was never meant to only be read, or even only to be understood. The Bible was written to be lived. The Bible is God’s Word to humanity–and God’s Word to you, personally. But for the Bible to change your life, it first must penetrate your thoughts and perspectives. So, when a verse resonates with you—when a scripture relates to something you are going through, something you’ve been grappling with, or something you need—realize God is speaking to you. Pause. Let it sink in. To help remember, and further meditate on what God is saying to you, write the verse down, word for word. Writing out God’s Word has cemented God’s perceptive into my life in countless ways. Sometimes I keep the verse with me throughout the day. Sometimes I memorize it. I always underline verses that resonate with me. After I read a passage, I often go back and re-read what I underlined. Be intentional about getting God’s Word into your thoughts. If you do, you’ll see your relationship with God grow in ways you can only imagine right now. God, what do You want me to know about You? Not every Bible verse will have something for you to know and do, but many will. Sometimes though, I have questions about the verses I’ve read. When I read a passage I don’t understand, I write a question mark in the margin (yes, it’s OK to write in your Bible). This way I can do further Bible study, or ask someone who knows more than I do for clarification. (Full disclosure: it helps to be married to my pastor!). More often than not, a little extra study illuminates areas I don’t fully understand at first glance. Now it’s your turn. Pick a passage of scripture (suggestions: John 1, Romans 8:26-39, Psalm 103, Psalm 145, Philippians 4:4-9, Psalm 27, Psalm 86), and follow the 6 steps I’ve outlined above. God wants to talk to you through His Word. All you need to do is pause long enough to listen. If reading the Bible isn’t new to you, will you do me a favor? Will you pass this post on to someone (a friend, a family member, a co-worker) who isn’t quite as confident about reading the Bible as you are? In my experience, more of us struggle to read the Bible, than not. They’ll thank you!! The post How to Read the Bible (and get something from it) appeared first on Donna Jones.